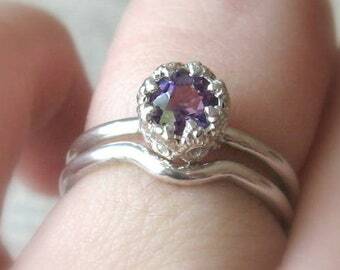 Sterling silver flower blooming with a beautiful 4mm faceted round gemstone. 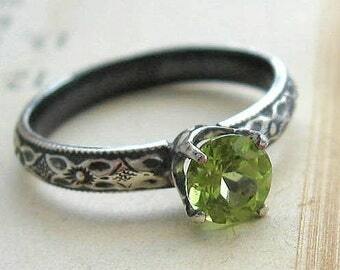 Makes a perfect promise ring for her. The band is a detailed swirled pattern that has been oxidized & polished to show off the pattern. 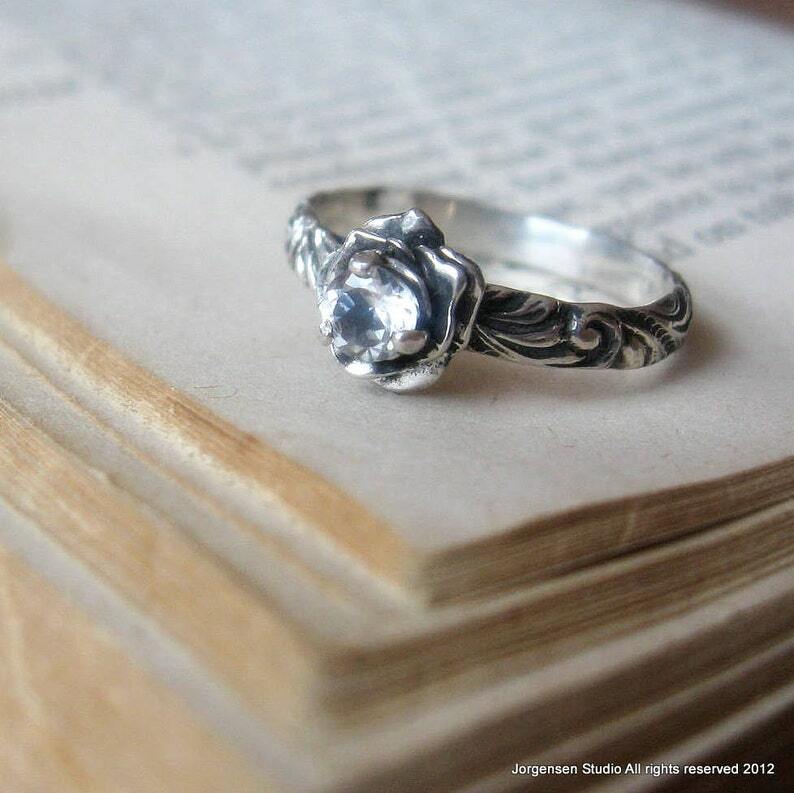 Entirely sterling silver. The flower is about 8mm wide. The gemstone is 4mm round faceted. 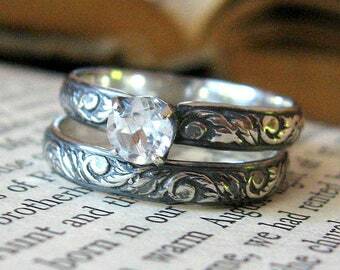 The last picture shows the ring with a matching band as a very unique wedding set. 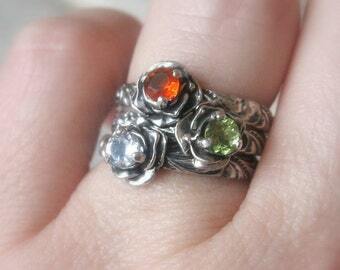 This would make a lovely right hand ring for a tween or teen, a gardener, or someone who loves romantic styles. Perfect gift for sweetest day or Valentines Day. 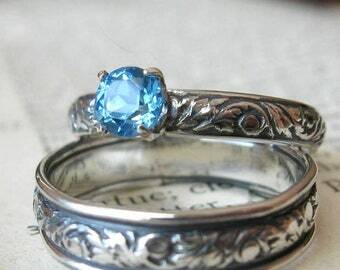 Can be stacked as a unique mothers ring set with birthstones. This will be made to order in your size. Please allow 7-9 business days minimum for fabrication before shipping. Please see my shop announcement & policies page for important additional information.